I just saw this great strategy for arranging frames before you put hammer to nail and end up with a bunch holes. Using magazine clippings is less wasteful than using painter’s tape to outline the frames and the images help to better visualize the space. Thanks Designing Main Street, I’m headed to Ikea Brooklyn ASAP… I will probably have to bribe my boyfriend with Swedish Meatballs upon arrival but it will be well worth it. 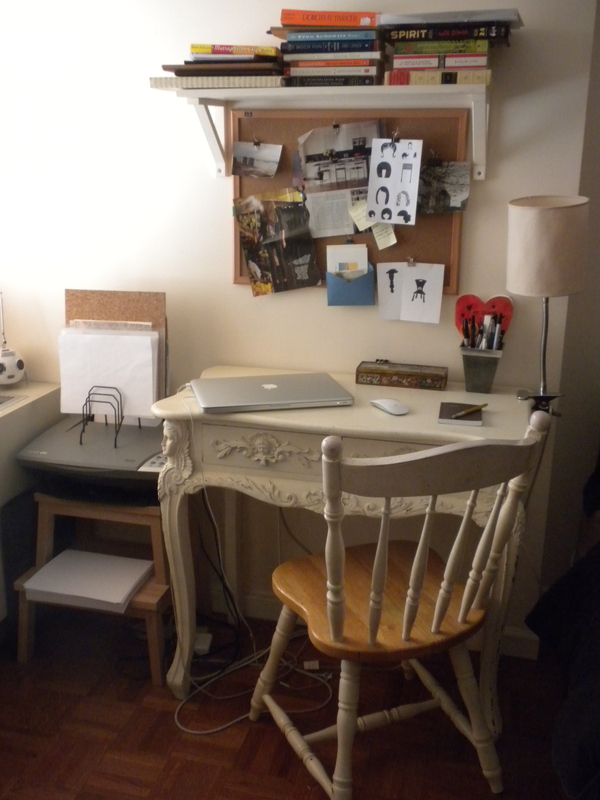 What I love about the location of my work-space is that it’s tucked away in the corner so it feels like a separate room. A common small space misconception is that, because you don’t have a door, you have no privacy. There are little (excuse the pun) ways to create your own space in cramped quarters. I grew up in a two-bedroom apartment sharing a room with my younger brother so I have plenty of experience. 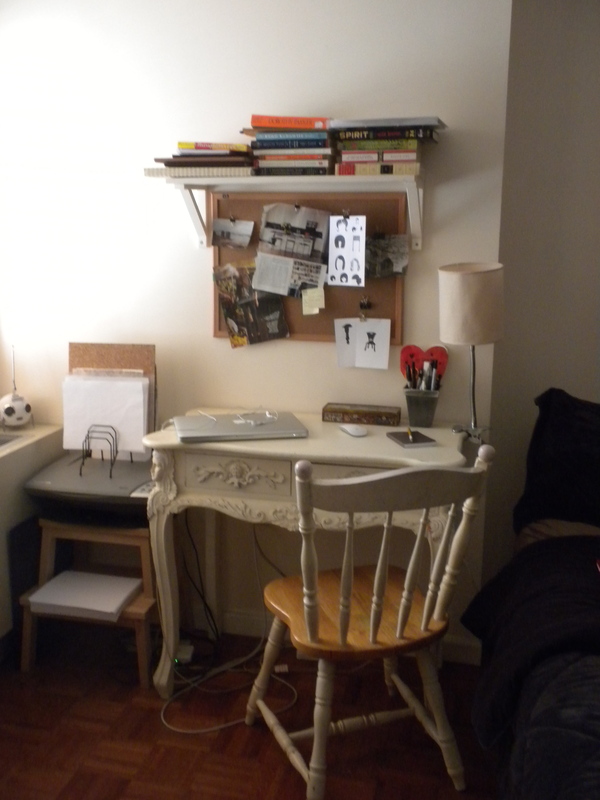 My desk is in a corner next to the bed–which serves as a makeshift divider. I’m all about furniture doing double duty–you can sleep on it and also use it as a line of demarcation. 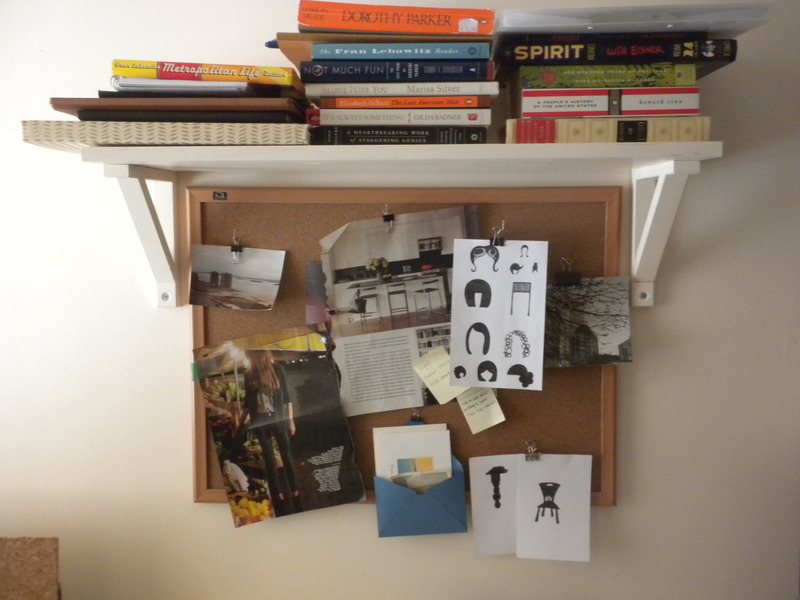 I also hung a shelf and a cork board to give the corner a cozy feel and to perceive the space as separate from the rest of the bedroom. Some of my favorite pieces of inspiration (including from the homemade, heart-shaped Valentine’s Day card from my boyfriend last year) decorate the space. 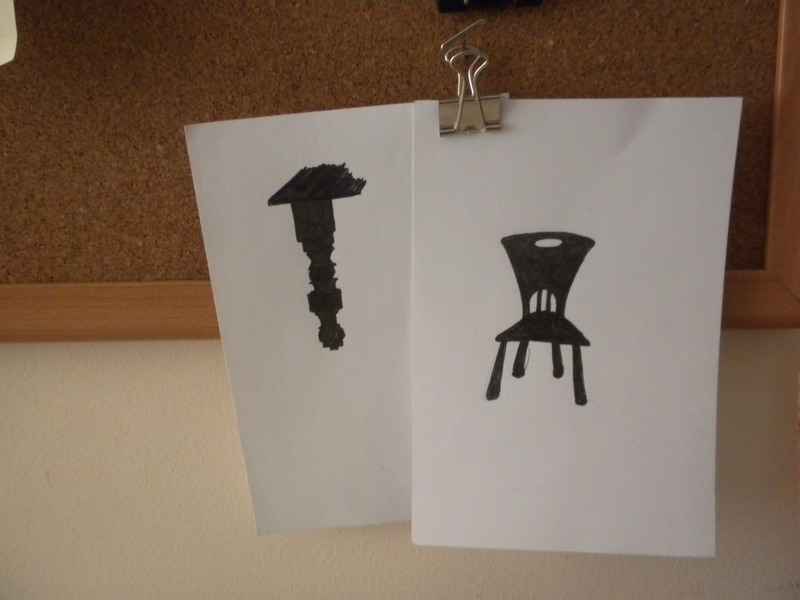 I have the beginnings of my illustration projects (I’m thinking of doing a line of stationary with simple object illustrations like furniture, chairs, kitchen appliances, animals…stay tuned! 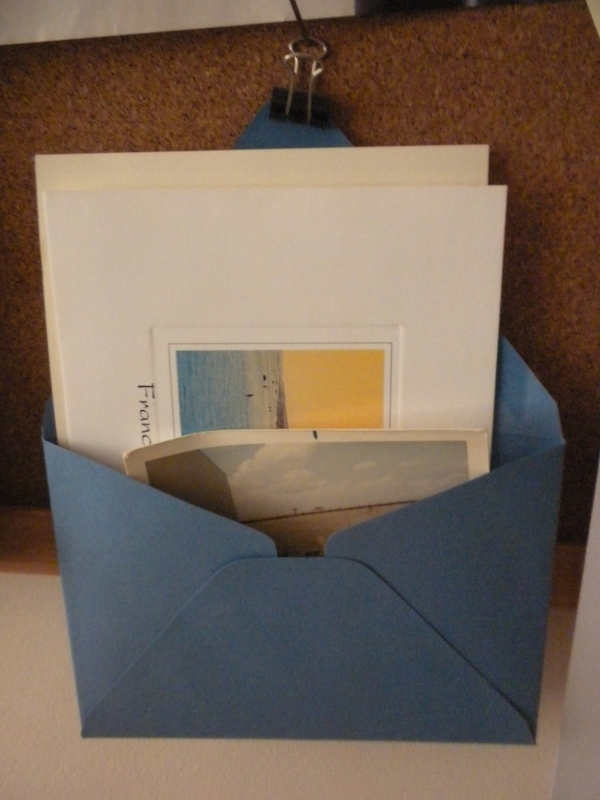 ), postcards from Pescara, Italy, where I did a summer semester abroad in 2006, some fashion and home magazine clippings and photographs. 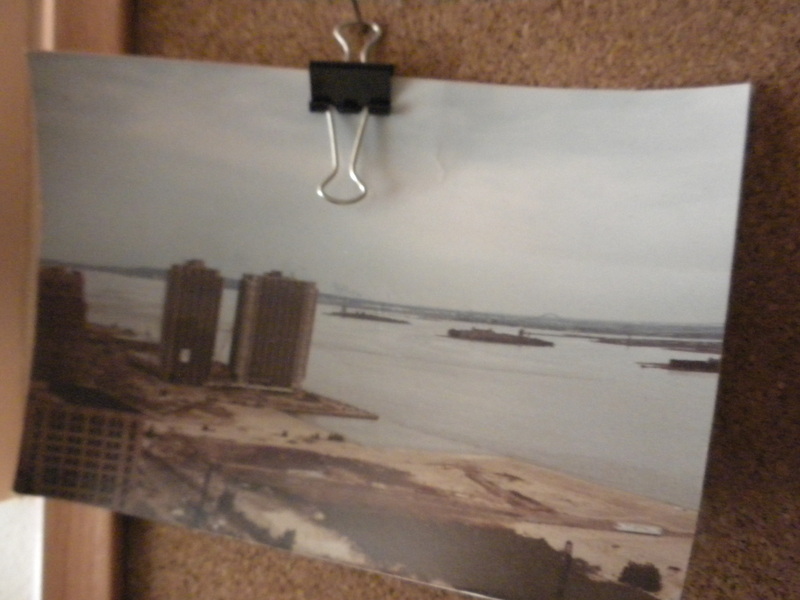 My favorite photo was taken in 1981 from my parents’ terrace in Tribeca–notice there are virtually NO buildings on the waterfront…in fact there really isn’t much of a waterfront community at all! I wish it was like that now. NO offense to the thirty-something-transplanted stroller-set…but I hate crowds.